Somerset Cider Vinegar has proved an effective tool in the treatment of calf scour. David Partridge of Ennerleigh Farm (who farms 1000 acres in the Exe Valley) has used Somerset Cider Vinegar to treat his calves. His farm is home to around 1,000 cattle and the calf shed is busy all year round. “There are three men who work in the calf shed and they all agree that we have had far fewer problems since we have been using the cider vinegar,” said Mr Partridge. “Scour has been much reduced and the calves have been healthier and lest prone to infection all round,” he said. Apple cider vinegar will balance the pH of the animal's stomach, creating a less favourable environment for bacteria to live in the first place. The acids in real cider vinegar have been shown to be effective against E coli as well as other bacteria. 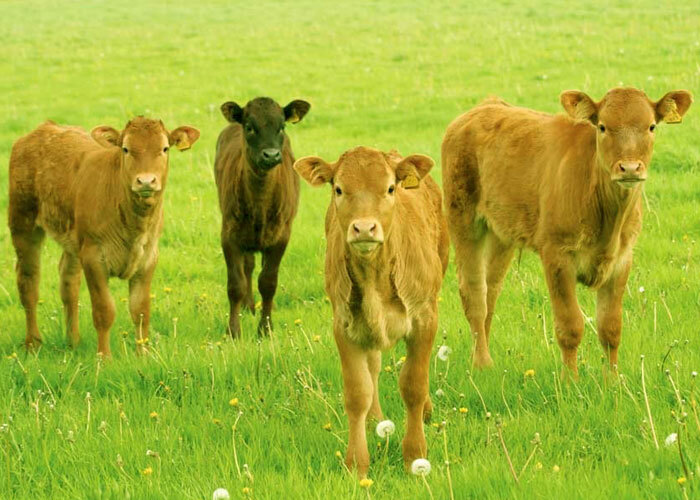 The calves may well still be exposed to the harmful bacteria which is causing the problems but the cider vinegar gives their natural immunity system the chance to fight against them. The calves may well still be exposed to the harmful bacteria which is causing the problems but the cider vinegar gives their natural immunity system the chance to fight against them. Traditionally, slow fermented cider vinegars contain pectin from the cider apple skins. 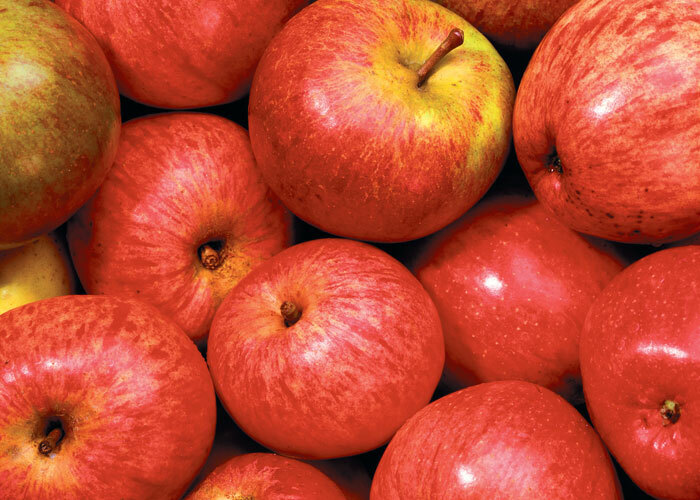 Dessert and culinary apples have had much of the pectin bred out of them to sweeten them. Pectin binds to harmful, scour creating bacteria and both are excreted from the calves gut together. David Partridge adds 20ml cider vinegar per calf to their milk each day which is roughly the same as a tablespoonful in each bottle for bottle fed animals. It may have the effect of curdling the milk a little but customers report the calf will still drink it. Wait until the calves are a few days old before starting the cider vinegar treatment so as to give the mothers colostrum the best possible chance. Continue the treatment for one month. The potassium in cider vinegar also helps the animal to digest nutrition from its feed, particularly calcium, phosphorus and copper. Potassium is also important in a cow's ability to deal with mastitis. Cattle assimilate vitamins by the action of bacteria in the rumen which is the first part of the division of the stomach of a ruminant animal. Adding a small amount of cider vinegar to the diet is believed to create a helpful acidity in the rumen to promote this activity. The vinegar's acidity will also promote cudding which is the mastication of regurgitated food which has fermented for a period of time in the rumen (or reticulum). It is then carefully chewed and moistened before being digested again. Correct cudding is essential to wellbeing in cattle and an indication of health in the animal. Some concentrated feeds can cause the retardation of the normal bacterial processes involved in cudding and the addition of cider vinegar can help the situation. Several customers use our cider vinegar to aid cudding in rare breeds or traditional breeds of British cattle. We recommend between 50ml/60ml per animal for cattle that can be mixed with water and added to feed daily. 20ml per day for calves - 10ml in each of two feeds.